Top 6 Take-aways from the 7th HbbTV Symposium. Read my view on where the market is going. HbbTV is seeing a steady growth and the industry commitment is there. Operators start to embrace it with the new OpApps spec. Addressable TV will have the biggest impact on the industry over the next 5 years. HbbTV Symposium was in Berlin, #HbbTVBerlin, this year with 300 delegates from 27 countries, 26 broadcasters&operators (587M population), 8 Manufacturers and 60 tech companies. It was the biggest event so far. HbbTV is clearly gaining traction and seen as a key component in broadcasters future plans. I tried to write on things you cannot necessarily find for the presentations available here. Viewing habits are changing. It was pointed out in several presentations and statistics show that younger audiences watch more and more online video content. Could it be “young and poor” watch YouTube, you still have time to look for content, “more money and less time” mean you want more relaxed experience. One driver is also video gaming, which is hot content for younger audience, and is not available on linear TV. It remains to be seen what happens in the future as digital native habits do last and move along. Nevertheless, a TV Series can become an event and people want to watch it LIVE on Linear. BBC’s Bodyguard is a good example where people who came late to series watched first on catch-up, but moved to linear as soon as they could. Similarly Francesc Mas from TV3 Catalonia told that kids watch more on-demand on HbbTV than on mobile+website. TV increased 8x in just 12 months. 55% of kids online content is via TV now. This is backed by BBC iPlayer as well, where SmarTV is by far the biggest online platform for video viewing. Who do you believe? IHS Market Paul Gray’s data show that average TV size is 45´ and is growing. 4K is driving the market, although content is not available. The marketing message of 4K is mainly pushed by Netflix and Amazon Prime. It is good news as 4K TVs always have HbbTV. Linear TV is over 75% of all viewing all over Europe, has been constant for past 6 years (IHS Market 2018). So, people watch on SmartTV, but since UI is better on mobile many cast to TV. Advice: train viewers to use your service on mobile, it will move to TV. 63% of households by 2022 will have smartTV and the average amount of TVs per household is going down although cable and satellite subscriptions grew in Europe. It should be kept in mind that TV manufacturing is a low margin business and manufacturers are not interested in providing much software updates on legacy devices, but selling new terminals. This was clearly stated by LG’s Stuart Savage. Germany is clearly the leading market for HbbTV with 67% market share of all HbbTVs. Germany has reached the critical mass for HbbTV, but two features are critical for operators to use it as a platform: DASH streaming protocol and DRM. On the other hand German broadcasters see HbbTV as a cost-effective and best platform for the market to harmonise the tech stack. 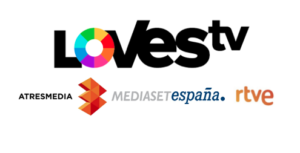 Latest hot markets are Italy (Tivú, Mediaset, …) and Spain (LovesTV) where nationwide HbbTV services have been launched by main broadcasters. In Italy Tivú has introduced its OpApps based platform, a migration from MHP. Also e.g. Deutsche Telekom wants to get rid of STBs and move more for virtual STBs and OpApps specification offer a good platform to achieve this. Actually they were with TNO and DTAG the ones who initialised the OpApp requirements. Freeview Australia’s Liz Ross told that HbbTV is growing almost 50% per year and have reached 46% of households. To succeed in a market she had found out that it is vital for broadcasters to educate viewers via TV spot campaigns on how to use HbbTV. CE Manufacturers support support the national initiative/platform is a key element to drive TV sales and consequently the market. 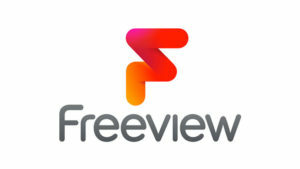 U.K Freeview is already reaching 5 million devices, 54% of new sold TVs are FVTV devices, and CE manufacturers see the value in using Freeview brand in their devices. Freeview believe to be at 11,1 million devices by 2022, at which point they would be U.K.’s biggest TV platform. They are basically winning market share from other TV platforms. The approach is clearly working, they believe in broadcaster co-operation and they have more content partners coming in. Stefanie Luedecke from ProSiebenSat.1 felt that the global (OTT) market is lost and broadcasters need to concentrate on local market together with other broadcasters. She believes that HbbTV will offer economies of scale for this move. Based on these assumptions they have initiated a “LovesTV” of Germany and several other content providers and broadcasters have already joined them. I think it is the right move as it generate a halo effect in marketing and differentiates from OTT services without Linear offering. They all should also follow the Freeview’s (both U.K. and Australia) example to require CE manufacturers to add a link to Freeview portal in the native TV UI. Andrea Duerager from RedBull explained how they use HbbTV Audience measurement (with one second interval) to drive all their programme decisions. For them HbbTV is the second source of measurement along with the GFK TV Panel. She showed how generally the reporting is similar from both the TV Panel and HbbTV, but sometimes TV Panel is totally incorrect. The Gfk TV Panel in Germany is problematic for especially small channels as it may show incorrectly zero reach due to the panel’s small size. This is a major issue especially for commercial channels as they are unable to sell contacts to advertisers. GDPR compliancy: it is enough to offer an opt-out option to viewers. The question of GDPR and audience measurement was naturally raised and the common approach (verified by several broadcasters in different countries)is that it is enough to offer an opt-out option to viewers (if you don’t combine 3rd party data on the household level). It is also advisable to discard TVs IP address once it’s been used for e.g. geolocation information. Ms. Duerager also pointed out that they see many opted-out TVs returning to measurement after some time. First poll at the event found that Addressable TV will change hybrid broadcasting the most in the coming 5 years. Delegates voted low latency streaming and voice control as runner-ups. The finding wasn’t a surprise, DVB and HbbTV have already setup a Task Force to standardise some aspects of addressable TV to drive the market adoption. Angelo Pettazzi from Mediaset told that groups focus is in delivery and execution, not on ad decisioning or profiling. Why do we need task-force? Broadcaster opinion differ what user/ad experience is enough. E.g. some require frame accuracy of a 30s ad and timing is variable and not tested in HbbTV test cases. It works for early adopters, but for a large multibillion business it is not enough, thus Task Force. It will be individual specification like HbbTV OpApps and the work target devices on the market in 2020. Yes you read right, Google want to be able to provide their Ad Manager for various Addressable TV use-cases to target e.g high income household with kids or mid-income single male. From their perspective HbbTV as standard bring various benefits for advertising: Enhanced targeting, reduced waste time, new niche advertisers, smarter ad scheduling and programmatic advertising. 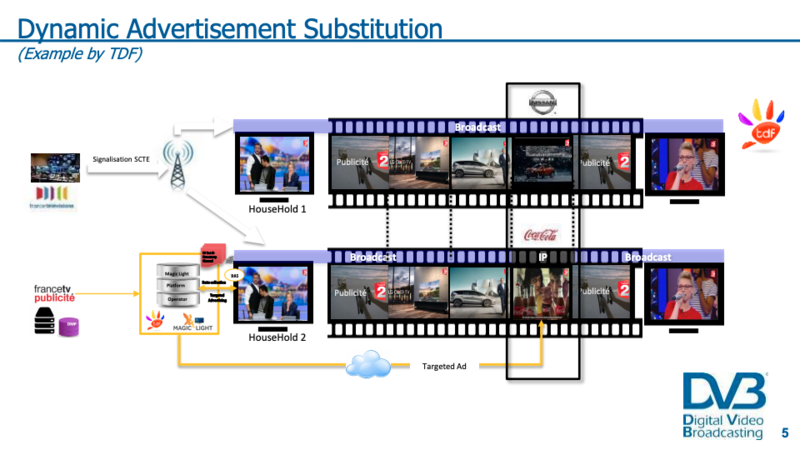 At the same time Jean Semere highlighted the technical challenge in delivering online video ads in linear environment cue to the huge and instant capacity requirement. Based on Google data there is a 100M€ market for Addressable TV in 2018 in Europe and it will grow to 1100M€ by 2022. El Cartel Media (Florian Löw) wanted to offer clients AddressableTV commercial that are 30 seconds. It means less production cost as advertisers can use the same video as for linear spots. They offer 8-12 video replacement slots every day on a single channel and main use reason is to do regional targeting and frequency capping on ads. Based on feedback viewers don’t separate TV broadcast ads or addressableTV advertising, its advertising. Sale is made online. The DEAL is made at dealership. The need to drive viewers to shops is as evident as ever and addressable TV can help in that. Broadcasters need to unite to push HbbTV as a platform, otherwise it may never be adopted by operators. HbbTV penetration is growing steadily and new projects are launched, critical mass starts be there and it is commercially viable. All in all I would say that the future for hybrid linear TV looks bright.